My school is a goldmine for Europe. : (SP) Spanish traditional dance from the south of Spain: "Sevillanas"
(SP) Spanish traditional dance from the south of Spain: "Sevillanas"
En España hay muchos bailes diferentes dependiendo de la zona donde te encuentres. Las "Sevillanas" son la danza más típica de Andalucía. Este baile es un baile flamenco. There are lots of different dances in Spain depending on the part you stay. "Sevillanas" are the most popular dance in Andalusia.This dance is a Flamenco dance. Estas sevillanas fueron bailadas por un grupo de alumnas del colegio. These "Seillanas" have been danced by a group of girls from our school. In this video you can see people from different ages dancing sevillanas in our mayor festival called "Feria de la Manzanilla"
This festival takes place the last week of May. Lots of people from other places comes to our city to enjoy the "Feria". In this video you can see some images from our city in these days. Our Feria begins on Tuesday night and finishes on Sunday night. 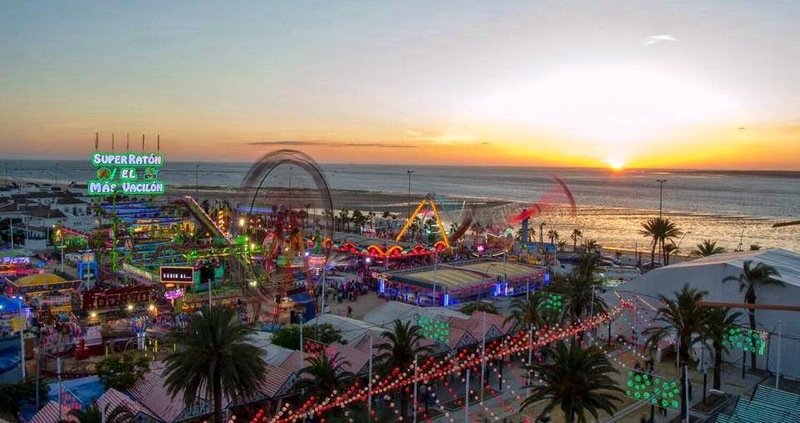 You can visit the Feria at any time, day or night (until four early morning). It's a great opportunity to know our culture and enjoy dancing and singing Flamenco, eating traditional food..
...and if you want, you can finish the party on the beach, because our Feria is located beside the beach. One week after our "Feria de la Manzanilla" another important event for Andalusia takes place: El Rocío. It's a pilgrimage to a small village where people from different places go to pay tribute to the Virgin Rocio (mother of God). People come to Sanlucar to go across the Guadalquivir river and go through the Doñana's Park for three or four days camping in the park altogether, singing, dancing.. Pilgrims go to the Rocio walking or riding horses. The distance between Sanlucar and El Rocío is around 50 km. Each year around 1,3 million people visit the village in these 7 days of pilgrimage. This video helps you to have an idea what the Rocío is. A slideshow about the pilgrimage in El Rocío.